Do you ever feel that there are not enough hours in the day to get everything done? In the high-pressured and demanding world we live in, it’s easy to become overwhelmed but the constant amount of duties and responsibilities. So it’s perfectly understandable to have moments where you feel. But the value of free time cannot be overstated. Ensuring you have a proper work/life balance and guaranteeing quality time for yourself is just as important as making that deadline at the office. And there’s no better time of year to take some extra free time than in the summer season. With that in mind, how do you envision spending your free time this summer? Perhaps you want to relax by spending time in your garden, planting flowers and vegetables for your family to enjoy. Maybe you prefer to be out on the water, enjoying the sunshine and warm temperature with those closest to you. While these are wonderful activities to partake in, keep in mind that there is always something exciting happening in your local community. Here are a few different ways you can become involved in your local community this summer through your Chamber of Commerce. Funzone, fun activities for the whole family, food and entertainment. The festival and fireworks display will be held at American Canyon Community Park II (at the corner of Benton & Donaldson Way). The day kicks off with a Pancake Breakfast organized by the local Boy Scout Troop. Paraders begin their march down Elliott at 10:00 am. The parade ends at Community Park II and the festival begins! Nothing says “summer” quite like listening to music al fresco. In that regard, the DoubleTree hotel has got you covered on Friday nights this summer! Enjoy a refreshing beverage and a mouthwatering meal, all accompanied by the sounds of local band, Smorgy. It’s the perfect start to any weekend! Starmont Winery and Vineyards, located in stunning Carneros, invites you to spend the summer with them with evenings filled with food, music, and of course, plenty of wine. With constant hectic schedules and frequent overwhelming demands, it’s hard to pause from the challenges and stresses in your professional world and take time for yourself. But with so many exciting things going on in your local community this season, you’d be crazy not to! So go on; go into the office a little later one day, or better yet, take a whole day off! Enjoy what pleasures of the season and celebrate summer by participating in local community events. 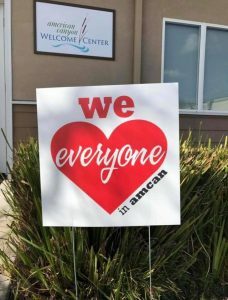 Visit the American Canyon Chamber of Commerce today; we are located at 3860 Broadway Street #103. Call 707-552-3650 to see what other events are happening in the community this summer.